Turbo Cast Basalt products are Manufactured from a World Class Volcanic rock having excellent abrasion, erosion, corrosion resistant properties by melting to the temperature around 1500°C in a Modern special furnace and Casted by a Centrifugal Spun Casting Machine in different diameters in a Single Monolithic Cylinder of 1000mm Long and also various Tiles of different size and shape lined into a Steel Pipe ranging from min 40mm to max 800mm Dia. 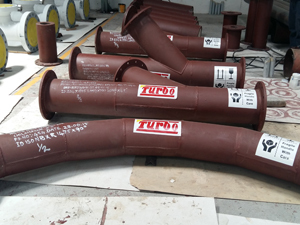 Turbo Cast Basalt Lined Pipes, Bends and Fittings finds Applications in Coal fired Power Stations, Iron and Steel Plants, Cement Plants, Mining Industries, Mineral and Mineral Process Industries, Fertilizer Industries. Specific Gravity : 2.9 to 3.0 g/cm³ (Min). 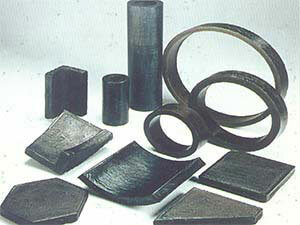 Hardness : 8 Moh’s Scale (Min). 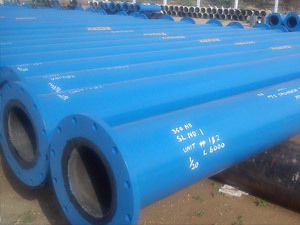 Compressive Strength : Min 4500 kg/cm². Bending Strength : 450 kg/cm². 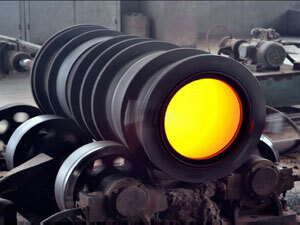 Max Operating Temperature : 350ºC (Max). 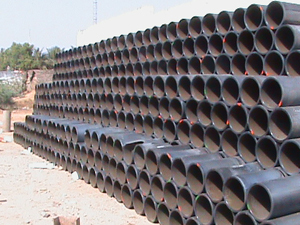 Extremely High Resistant to Abrasion, Erosion and Corrosion. Resistant to most of the Chemicals, Alkalis and Acids. Less Down time and Maintenance Cost. 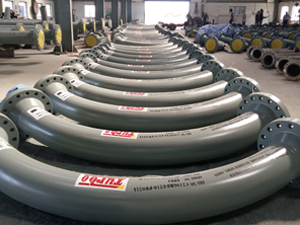 Cement Plants – Dynamic Air Separators, Raw Mill Ducts/ Chutes, Drag Chain Conveyor, Grate Cooler Housing, Air Separator/ Cyclones, Coal Handling, Coal Hopper/ Chutes, Cement Conveying, Slurry Lines/ Bends Lines/ Bends, Discharge Boxes / Bankers, Lime/Silica Hoppers/Chutes, Chain Conveyor Housing, Mixers/Nozzles, Coal Ventury.